Great Home on a large corner lot in a newer well maintained neighborhood. This 3 bedroom 2 bath home is immaculate! A must see! Very well maintained! CLEAN! CLEAN! CLEAN! As you enter the home you are welcomed by a large open floor plan. This home design utilized every nook and cranny to make the home feel larger than the actual square footage. The large corner lot gives you an incredible feeling of tranquility. This property offers endless potential with a large backyard and great covered patio built into the roof line. A lot of room to roam. This is a must see. 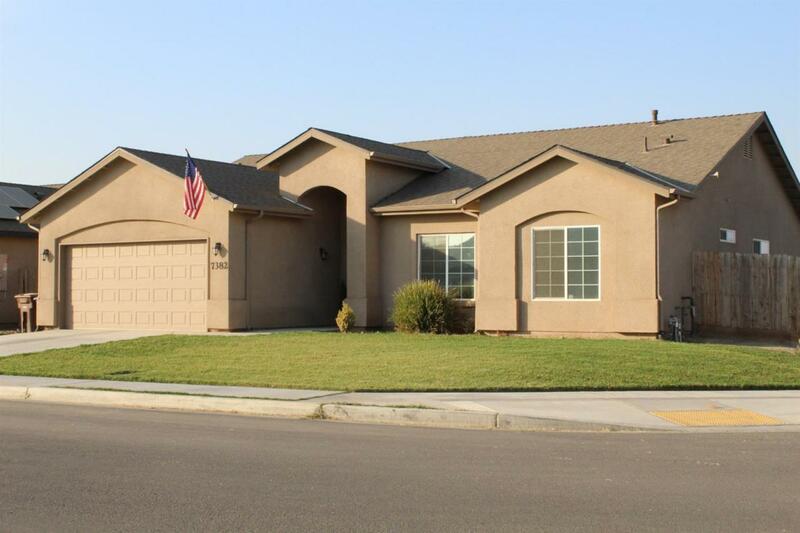 Listing provided courtesy of Rick Navarro of Keller Williams Realty - Porterville.